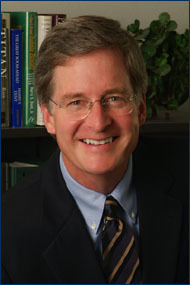 Mark W. Andrews founded Andrews Capital Management, Inc. in 1995. He holds two graduate degrees- an MBA in Finance, and a Masters in Tax and Financial Planning (Beta Gamma Sigma), as well as the designation Certified Financial Planner (CFP). Prior to starting ACM, he spent over 14 years as a Vice President at Bank of America where he was responsible for business development and managing a portfolio of corporate credit relationships totalling over $250 million. He has provided commentary to the Wall St. Journal, the San Diego Union Tribune, and other print and television media. He is routinely identified in San Diego Magazine as one of San Diego's top wealth managers, Coronado Lifestyle Magazine's "Best of Coronado - People's Choice Awards" as Best Financial Planner and Best Investment Advisor, and was featured in "Meet the Money Managers". Community service has always been a priority for Mark Andrews. He has committed time and energy to many charitable and educational groups. He has served as Chair of the American Lung Association of San Diego and Imperial Counties, and is a past President of the Coronado Schools Foundation, and the Coronado 20-30 Club. He is President of Coronado Mainstreet, Ltd., and a member of the Coronado Rotary Club and the Financial Planning Association. Mark Andrews is the winner of the first ever 2009 Crown Award, celebrating Coronado's leading volunteers. Mark Andrews, a Coronado resident since 1985, is married and has one son. His interests include golf, travel, and he is an avid Beatles fan.